Clutch-sized. Decadent. Discrete. 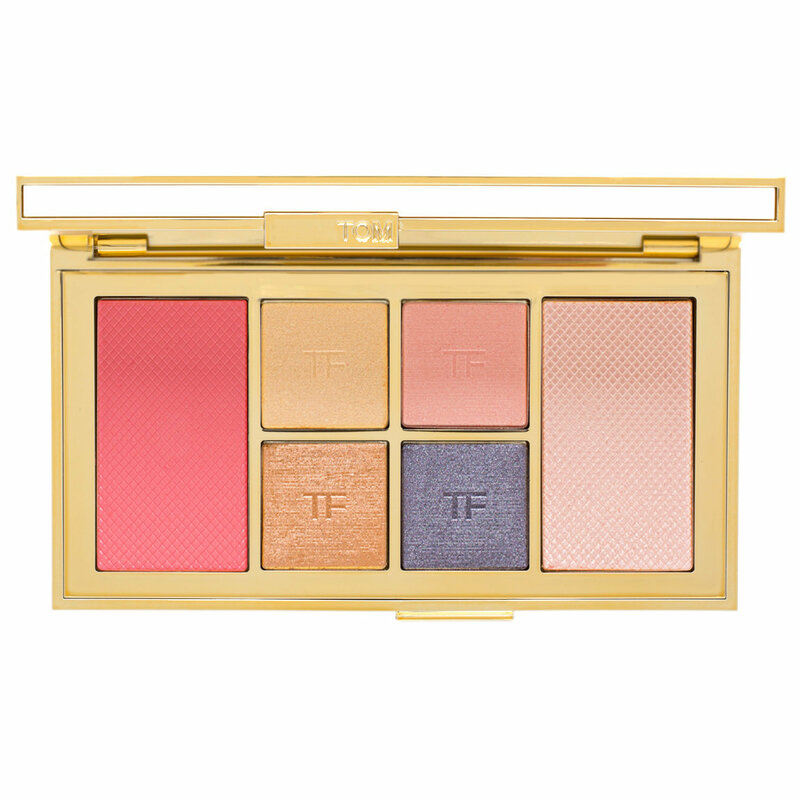 Soleil Eye & Cheek Palette is the ultimate TOM FORD Soleil accessory. The luxury ivory-and-gold clutch opens to reveal a carefully selected edit of hues for eyes and cheeks. Each palette features four eyeshadows, highlighter, and blush for an array of lush looks. Use your favorite brushes to apply eyeshadow, highlighter, and blush for a sultry natural or seductive look. Have a question about Tom Ford Soleil Eye & Cheek Palette? I love the colors in this palette all the shadows are a bit shimmery the shades are pretty and they apply well. The only shadow I was not crazy about is the very light shade. The blush and especially the highlighter are beautiful. I really look forward to the soleil palettes, they aren’t bad value for a quad, blush and highlighter, and I find the quality is excellent, it doesn’t differ like some other brands special releases do. This one is my all time favourite, and I nearly didn’t buy it. The blush and highlighter are much more beautiful in person, so silky and creamy, and the shadows mix and blend beautifully. An absolute 10/10. If I was going on a romantic date or had an important function, my whole look would be this palette, that’s how strongly I feel about it!